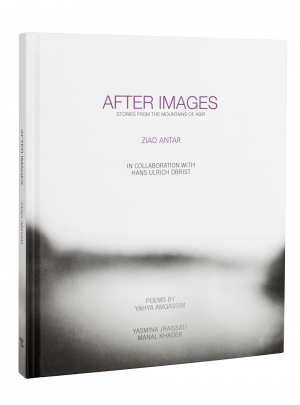 In After Images, the artist Ziad Antar experiments forms, colors and light with his lens-less camera, during a long journey searching for the cities where mythology was born. At the core of his work is the questioning of the foundations of photography, through the destructuration of this art. Born 1978 in Saïda, Lebanon, Ziad Antar is a video artist and photographer. His work has been acquired by several public collections, including the Centre George Pompidou, the Fondation Louis Vuitton in France and the British Museum in the United Kingdom. is a writer and a graduate from King Saud University. He is the author of Stories from Saudi Arabia (2004) and The Crow Leg (2008). In 2010, Yahya was chosen by the Beirut39project as one of the best young writers from the Arab world. He is currently a foreign diplomat, and has served in the Saudi embassies in Paris and Beirut. holds a PhD in philosophy and cognitive sciences. Her research is driven by the relationship between culture and cognition, with a focus on perception. She namely specializes on color categorization at the interface of language and perception. Yasmina is a lecturer at the American University of Beirut.